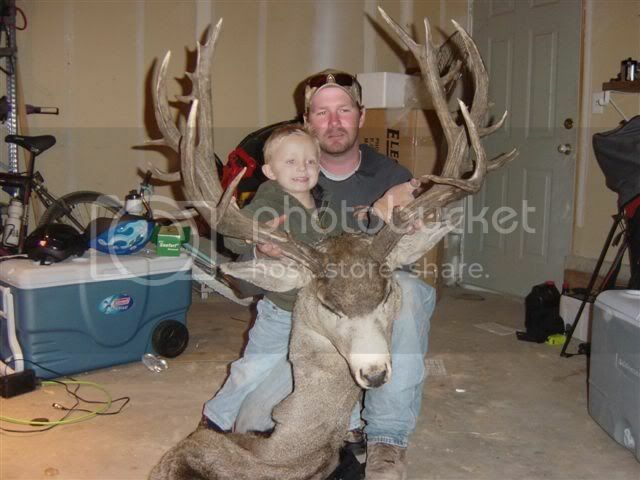 I mean how are they ever gunna get big if you shoot'em when they are small like this one??? I've seen only one in Michigan that somewhat resembles the girth, but nowhere near that amount of points! Utahs best unit, the Henery Mountains. Its a 1 in 140 chance to draw for resident... dont know what it is for Non-res. If you dont have around 10 years of bonus points saved up odds are you wont draw the unit in your lifetime... thats why I scrapped putting in for that unit last year with my 7 points and went with the Utah bookcliffs where I was guarenteed a tag. I'd rather hunt that every 10 years than never hunt the Henerys. PS the Henerys are the most gawdaful terrain you've ever seen... lots of places you cant even get a horse into. Bucks like this one come out of there every year it seems but only 25ish tags allowed per year. There is a point system in Utah ?? Interesting. For limited entry Trophy areas tags are *highly* competitive. They auction a couple off every year to high bidders and the deer tag alone can sell for $80,000 or more. So trying to draw one for $125 is very hard to do. That was a Bison (buffalo) hunt we did, not deer. My dad had a chance at a couple cows one morning but he passed in favor of a bull. We saw bulls but never in a place we could get to them. I put 1200 miles on my truck and utterly destroyed the steering on those rough roads (after the hunt I replaced all the tie rods and idler arm). Opps I thought you were talking about deer still didnt see that you said Bison! Oh I see. Me and my dad broke streeing on one of his trucks once as well. Didnt notice how bad the road was (looked good before we hit it) and lets just say going up hill on a bad road wasnt too good for the Explore. Tell me does buffalo if you tried it taste any good ?? That is a whopper!!!!! That guy is one lucky man. Can not believe he did not throw that one back. thats incredible, stuff like that only comes outta parks here! Very fine animal indeed. Gorgeous. Ok I admit to being amused at this user account. I saw it when it was created and it made me laugh. I really liked the use of admin "stars" as your avatar to further look like an admin. But sadly to avoid confusion between real mods and fake ones, I will suspend the user account "Admimistrator", sorry but I'm sure you understand :). You don't have a catch and release program in Utah? aah...Come on Dallan...Don't shoot the kid. Shoot the deer.... Nice non-tipical.